Anker's first products were replacement laptop batteries. 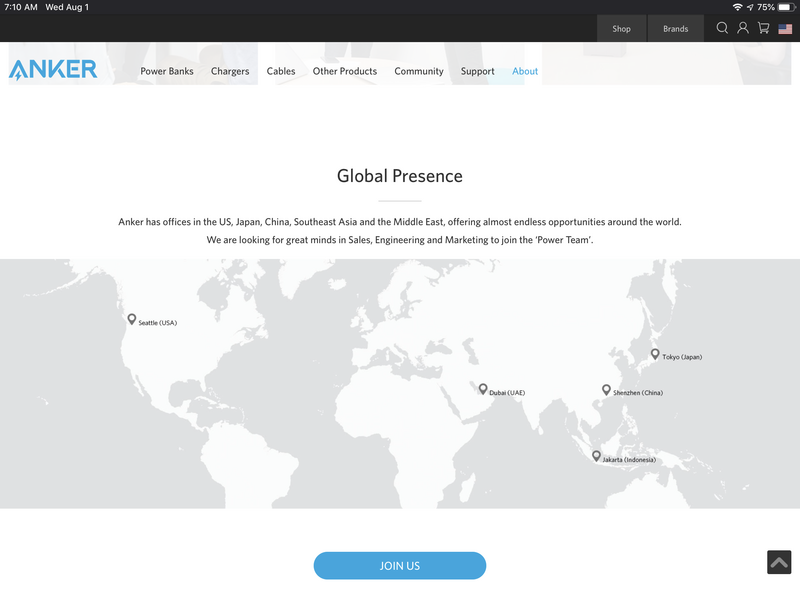 Anker's offices are in Santa Clara, California; Shenzhen, Guangdong; Seattle, WA; Tokyo, Japan; Dubai,UAE and remotely when an employee is off-site. 3) Seattle, Dubai, Jakarta, Shenzhen and Tokyo! Q2:Anker's first products were focused on replacement laptop batteries. Question 3. Changsha, Shenzhen, Seattle, Tokyo & Dubai. Anker was founded in 2011and first started by producing replacement laptop battery. It currently has offices in Seattle, Tokyo, Shenzhen, Jakarta, and Dubai. Good luck everyone there are a lot of people here. Dubai, Jakarta, Seattle, Shenzhen, and Tokyo. Anker was founded in July of 2011 with their first product being batteries for your laptop computer. There are currently offices in Changsha, Jakarta, Shenzhen. Tokyo, and Seattle. In which year was Anker founded? What was Anker’s first product? Anker has offices in which cities worldwide? I read all the answers and I found nobody get the accurate answers on the third question.